4.5″ x 6″ snapshot of young rural worker. Private Collection. I love this candid portrait. 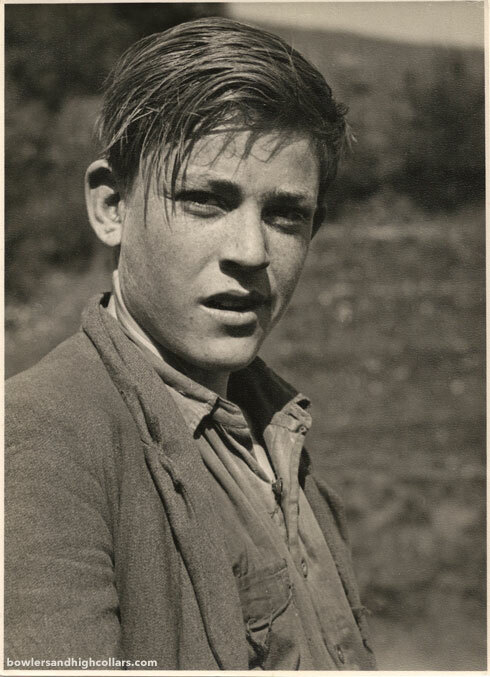 Of course I tend to say this about every picture in my collection, but this young worker was captured on a field, his clothes tattered and his hair greasy, and I doubt it was from pomade…yet in his humanity he’s absolutely gorgeous. This entry was posted on Monday, August 10th, 2015 at 2:58 pm	and tagged with 1930s-1940s, handsome man, workers and posted in Others, Teens. You can follow any responses to this entry through the RSS 2.0 feed. This is a great photo! I love these kinds of photos because they show people in their everyday life. This is so spontaneous :-). It is! Gritty and beautiful. It’s hard to imagine it was taken so long ago.